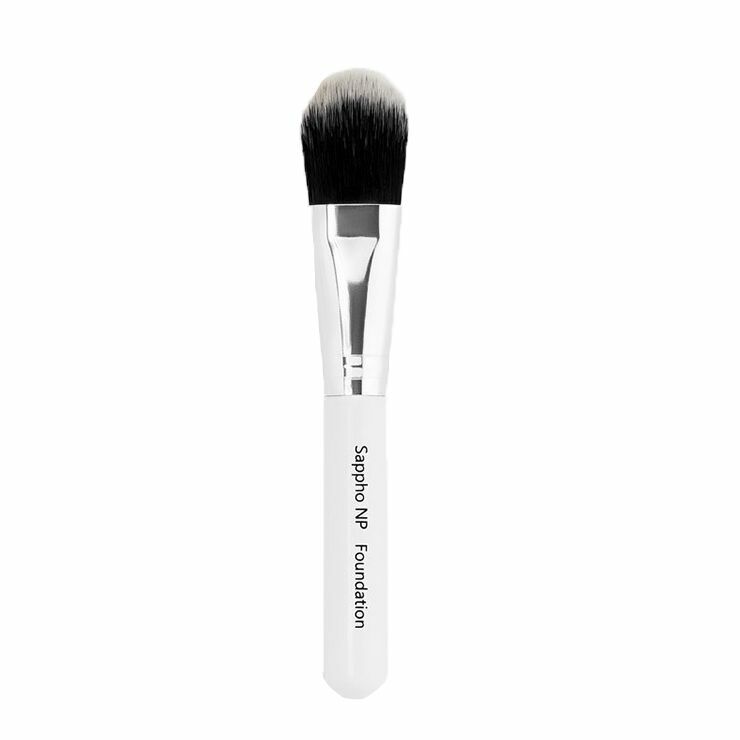 Obtain a supremely flawless look with Sappho Foundation Brush. Tapered ends and a rounded edge make this thick brush ideal for applying light or full coverage to create your desired finish. Synthetic fibers and a bamboo handle are easy to clean. Super soft bristles are gentle on skin and make blending a breeze. Use to reduce the look of shine and imperfections. The compact size makes for convenient stowing in purse, gym bag, or beauty kit. This foundation brush delivers just the right amount every time and may also be used with CC Cream. Use to apply liquid foundation to skin and blend gently for an airbrushed look. May also be used to apply facial powder, powder foundation, and CC Cream.